Manchester United defeated West Ham United at the weekend to stay alive in the PL top four race. Next up, the Red Devils will collide against Barca in second leg of their CL quarter final. United lost the first leg 0-1 at Old Trafford and now need a mountain to climb to turn the tie around at the Nou Camp. As far as Solskjaer’s team news is concerned, we can expect the Norwegian boss to make four changes in the squad that started vs the Hammers on Saturday. In the back-line, Lindelof could replace Jones to partner Smalling in the central defense in front of De Gea. Luke Shaw is suspended and therefore, Rojo should retain his place in the left back position. 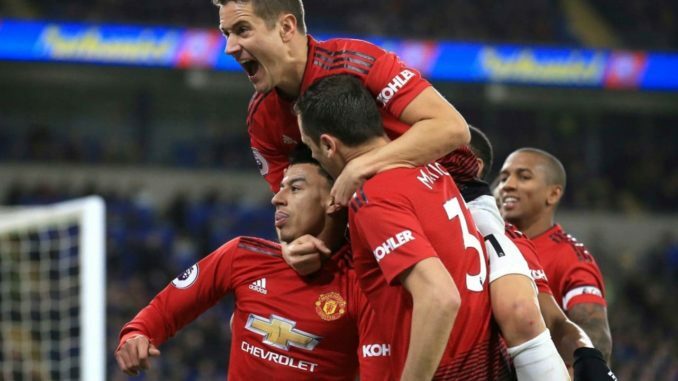 Dalot should retain his place and start ahead of Young in the right back position. In the center of the park, McTominay should return to start in the central midfield with Brazilian international Fred. Pogba, who started in the CM role vs West Ham, should replace Mata to start in the AM role against the Catalan giants tomorrow night. As far as the attack is concerned, Lingard and Martial should start in the wide attacking positions and Rashford should return and replace Lukaku to start in the main center forward role. I’d save Dalot and Martial (and Sanchez) for the last 25 and start with Young at RB and Rashford on the left with Lukaku up top. Hopefully we’re level on aggregate with 25 to go, then pull Lingard and Lukaku for Martial and Sanchez.